I started to introduce books to DinoBoy when he was 2 years old and have try to keep his interest in reading since then, as of today he has so many books that I am running out of space to keep them. The one thing that has been troubling me is that his Chinese books collection are perhaps 1/4 of the whole collection of books! It is not that I do not favour Chinese, on the contrary I love Chinese but it is so difficult to buy Chinese books. Ok, the problem lies with me... 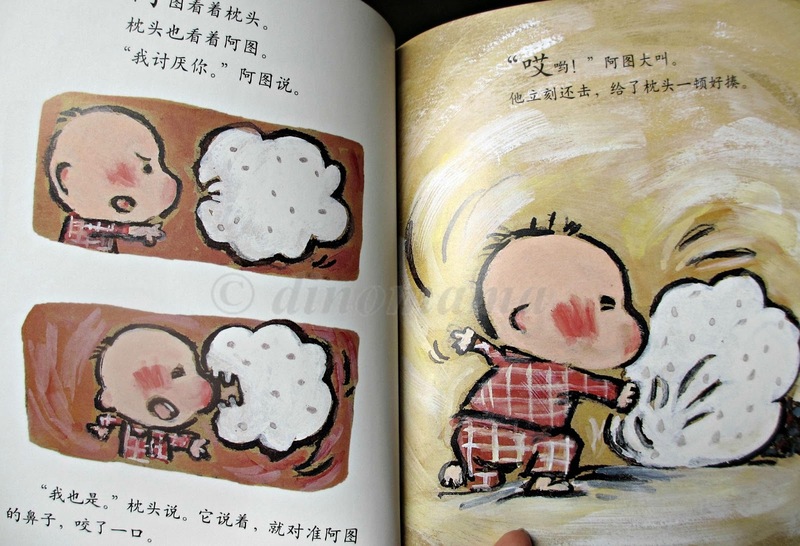 I have a particular expectations of the Chinese books; illustrations must be cute and eye catching, story must be exciting and engaging, words in the books must be simple and easy to read, the phrase should be short and easy to understand, it must be a book with only Chinese words with no HanYuPinYin (HYPY) or English words. 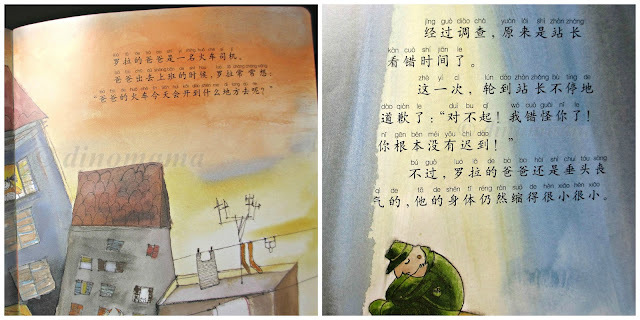 The quality of the book must be good, no flimsy thin pages for fear that we might tear the pages sooner then we expected. Of course cost of the book must be pocket friendly too. By looking at the number of books I got from them recently you can sense my joy and happiness of finding Flip for Joy! 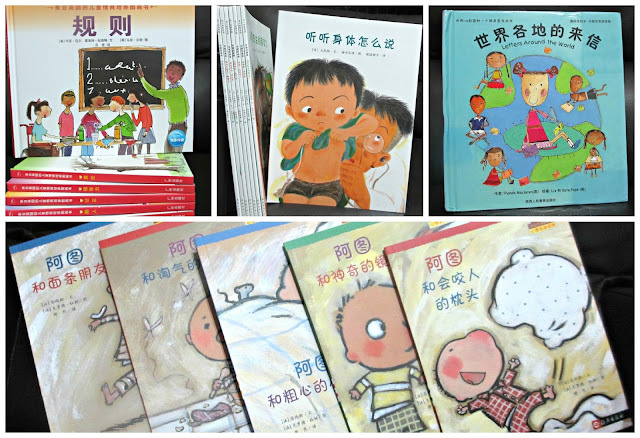 Besides fitting the bill, many of their books are bestsellers and award-winning titles loved by children worldwide. Who wouldn't want to enjoy these popular titles such as Dear Zoo, The Very Hungry Caterpillar, Brown Bear Brown Bear What Do You See, The Giving Tree etc in the Chinese language or even in both languages? I would love to share with you ALL the books that we bought but its not practical so I'm sharing a few of them here. 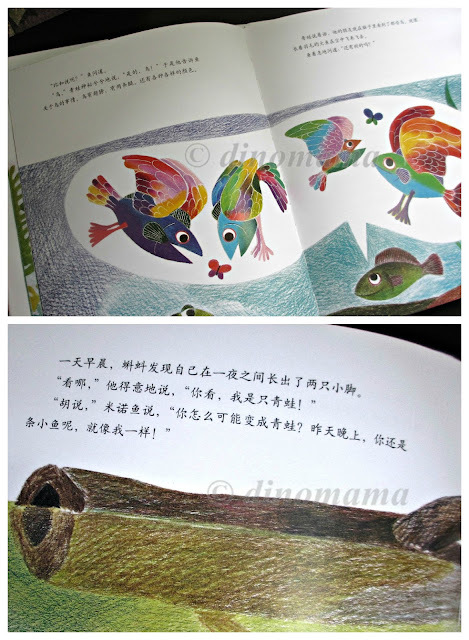 I was very happy to find Leo Lionni books 这是我的！and 鱼就是鱼, DinoBoy enjoy these 2 books a lot (as with his other Leo Lionni books), he especially like 鱼就是鱼 as the illustrations are very colorful as you can see from the photos below. 阿图的快乐生活系列（5册）- I love the funny and quirkiness of the little boy 阿图 and his fascinating childhood adventures. I just know DinoBoy will enjoy it when I read to him in my exaggerating tone of voice, we'll have loads of squeals & laughter while reading about him wrestling his new pillow, finding a friend in the mirror, attempting to exchange a fallen tooth for a present, having elves follow him to school and discovering a strand of magic noodle. 来自英国的儿童情商培养图画书系（7册）- When I saw this book I immediately added it to my shopping cart. I like books that advocate values which are important for character building, no doubt that we teaches these to DinoBoy but no harm reinforcing them with books. I love the lively illustrations of daily life scenarios which I think the kids can better relate to. the one line repetitive phrases are easy to read understands. When we are reading 规则 DinoBoy will exclaimed at a few of the things mentioned in the book which they are practicing in classroom too. * Flip for FUN books are highly interactive and a whole lot of fun! * Flip for KNOWLEDGE are insightful and have rich elements of story-telling. * Flip for LOVE books help children love the important values in life. The people in Flip for Joy know that it will be a difficult task to decide which books to buy (they are all great books that we wish to lay our hands on!) so they have put together Flip Flip Hooray Starter Packs for ages 0-3, 3-5 and 5-7. Each pack will have at least 1 book from each of the 3 categories to provide variety for hours of quality reading. So, what are you waiting for? 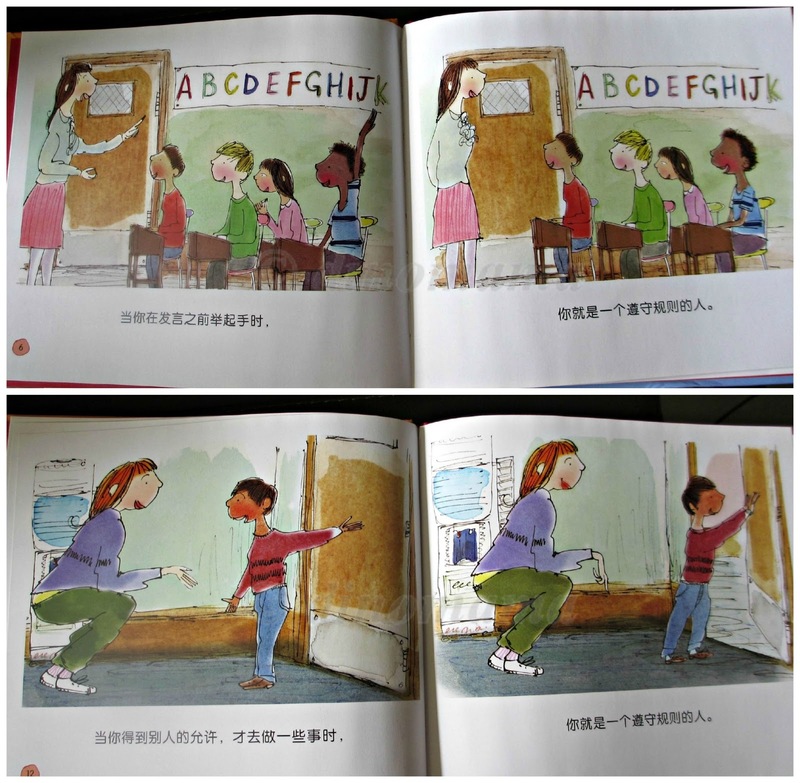 Hop by to Flip for Joy and find for yourself the joy of flipping through the wonderful world Chinese books! Disclaimer : We received some complimentary books from Flip for Joy in compensation for the purpose of this review. This review is 100% based on our reading pleasures of the books and is not influenced by any person(s) or factors.